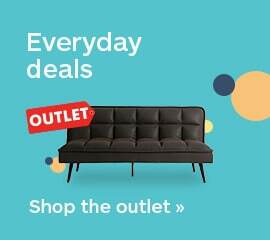 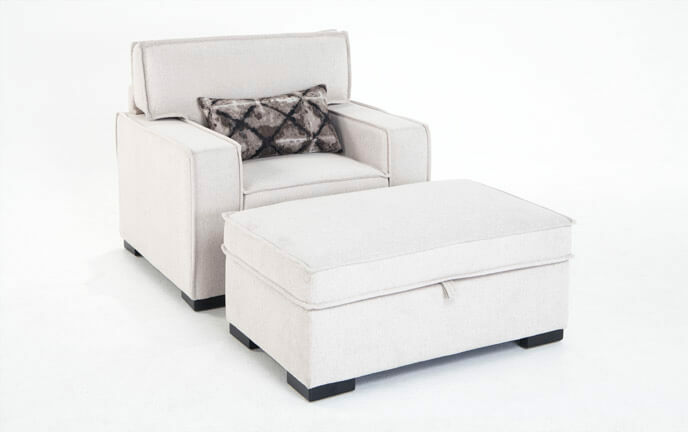 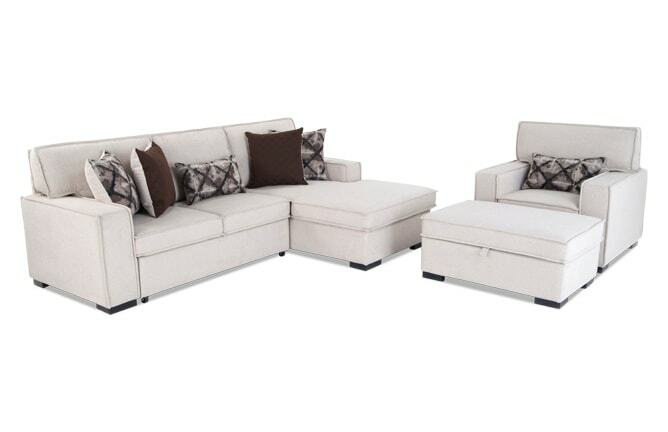 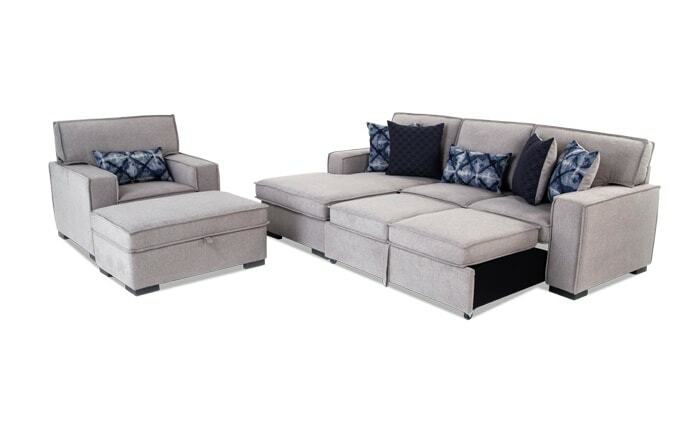 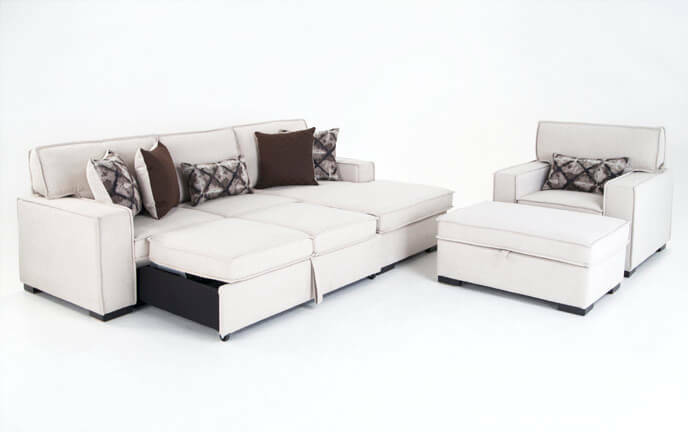 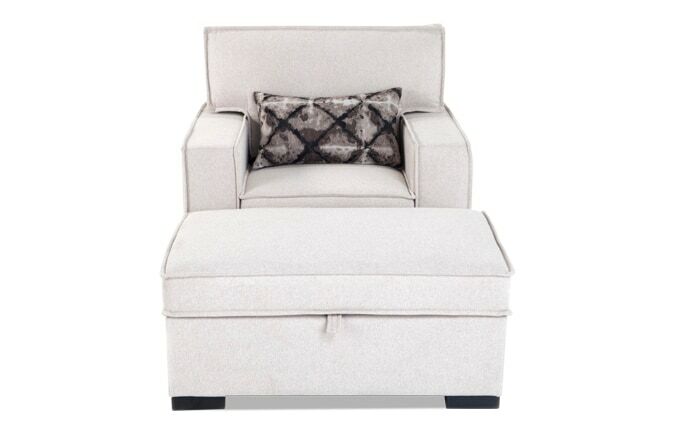 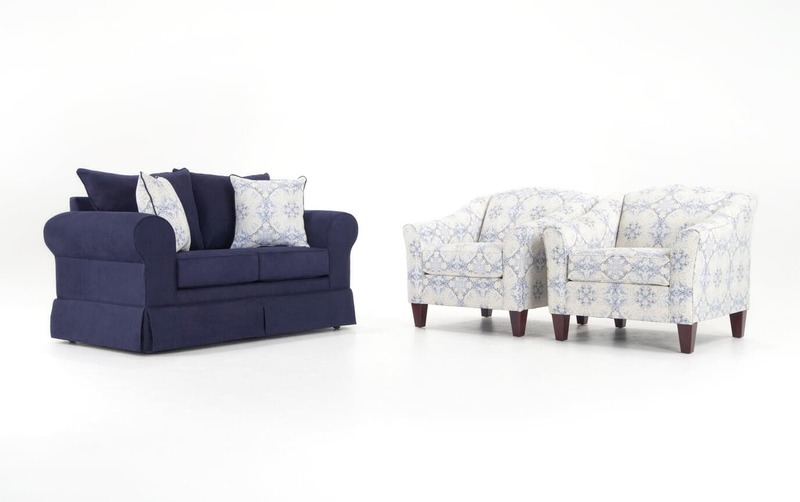 If your living room needs an extra pop of color, then my Oasis Loveseat & 2 Accent Chairs are perfect for you! 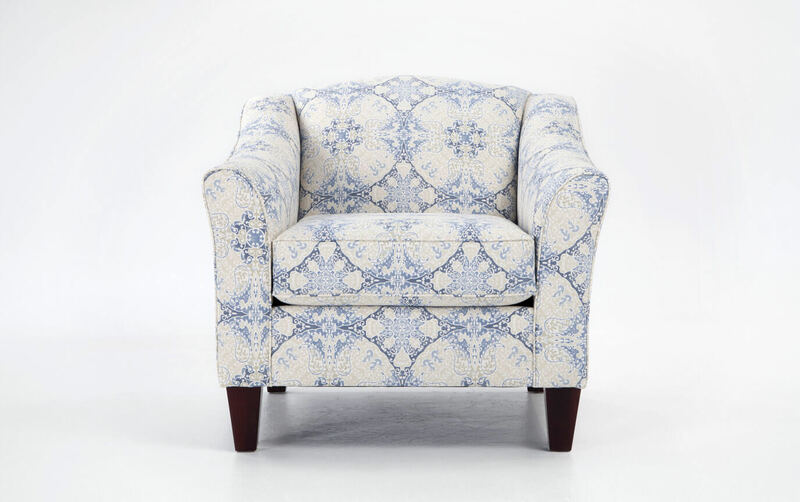 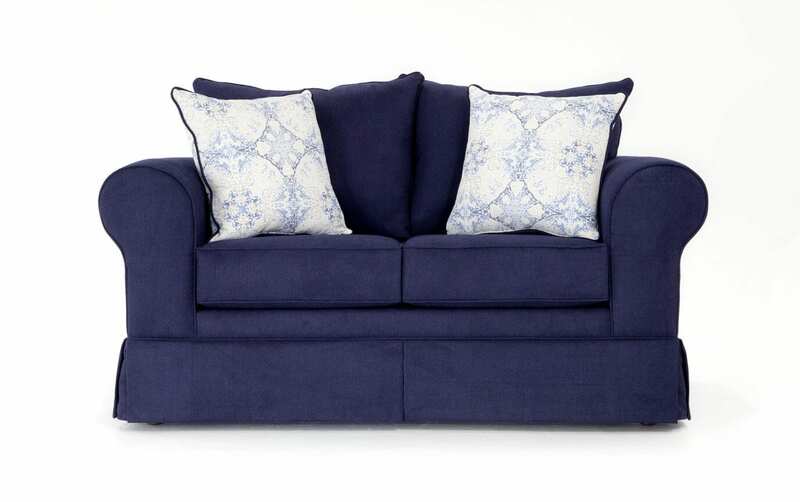 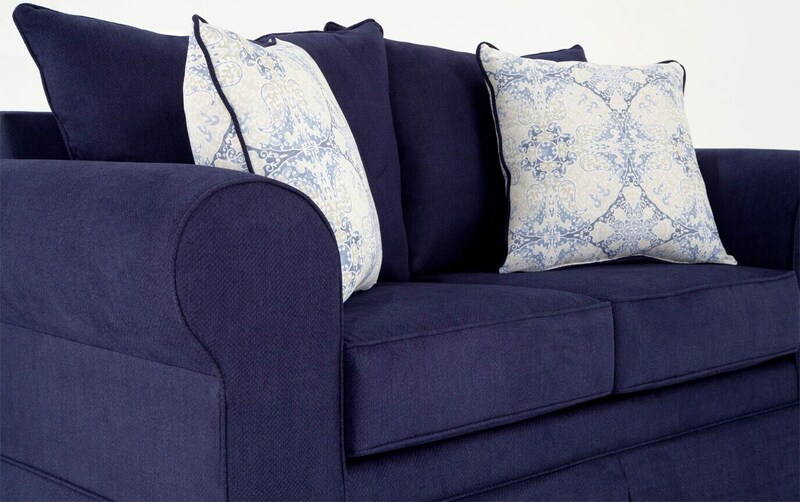 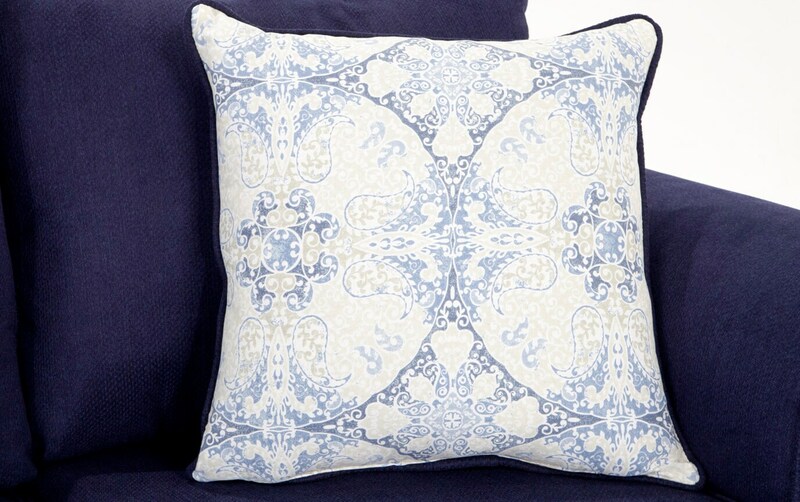 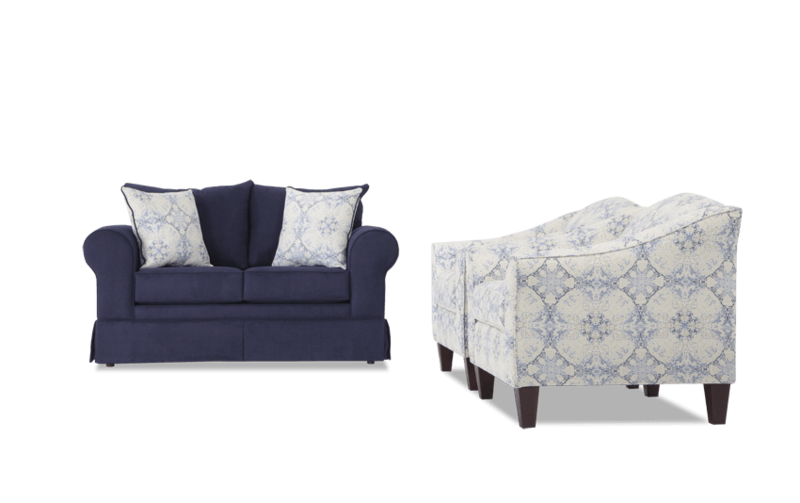 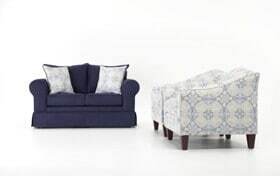 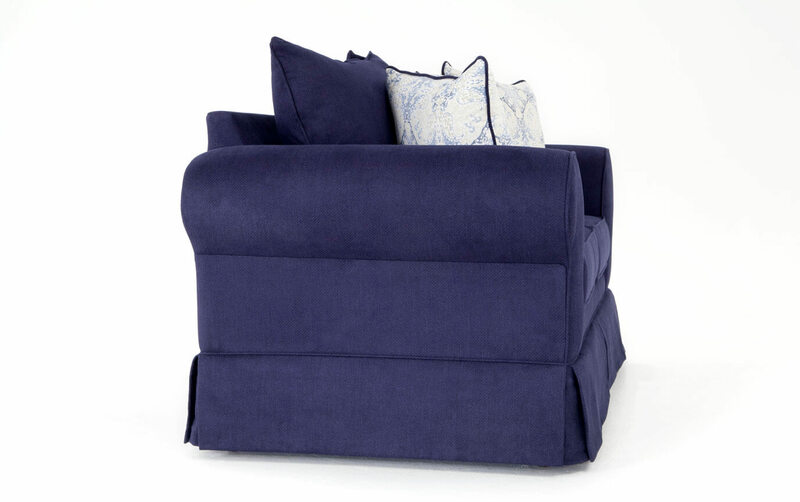 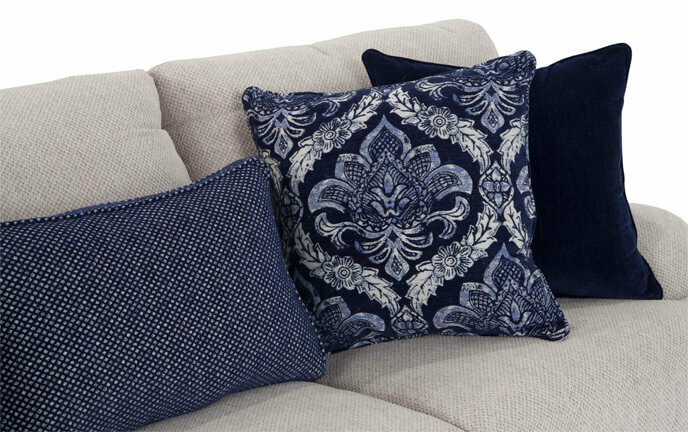 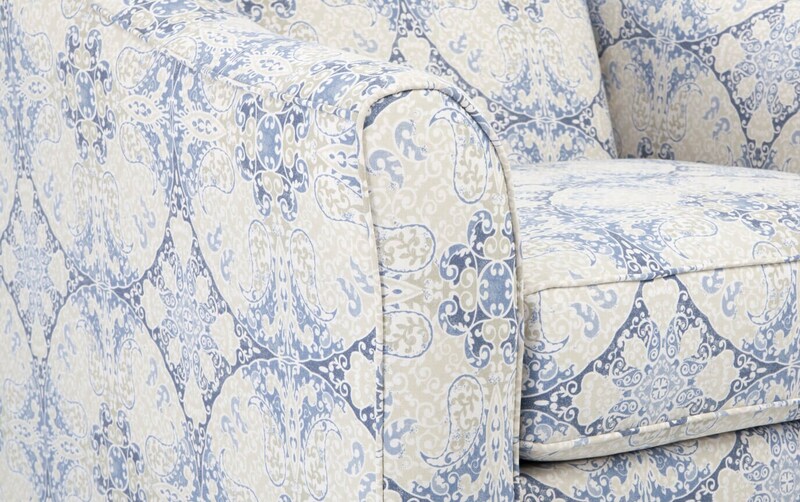 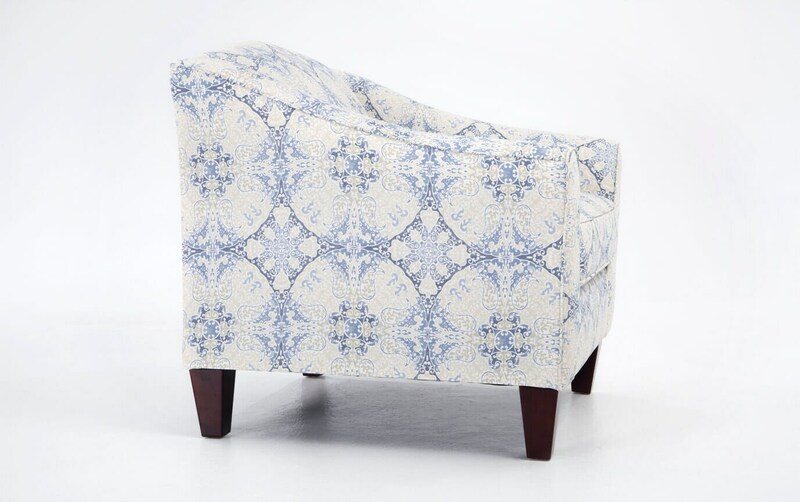 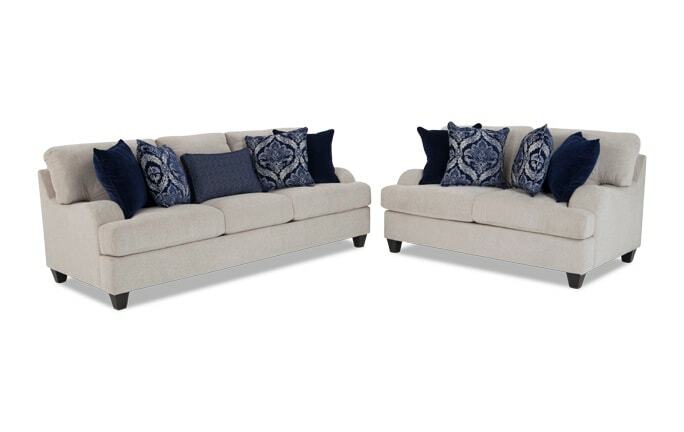 The midnight blue fabric is vibrant and eye-catching, along with the skirted bottom on the sofa and accent pillows that coordinate with the accent chairs. 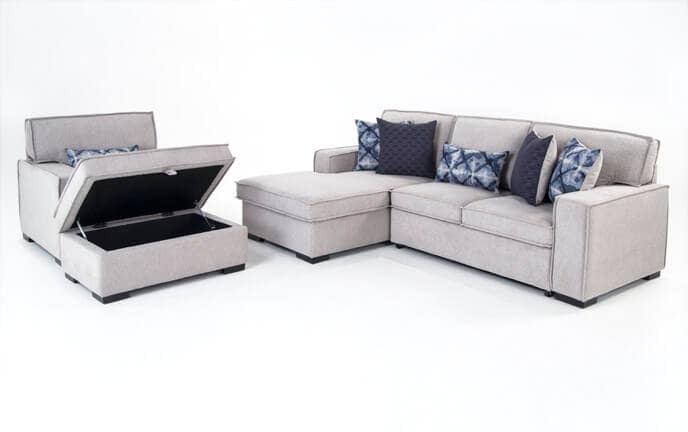 This set perfectly ties everything together, giving you the ultimate transitional style!